Enhance your online advertising campaign with our professional team of Adwords certified PPC managers. We're dedicated to improving your online presence with a custom built PPC campaign. The ability to advertise on search engines is the most revolutionary opportunity for businesses since the beginning of time. There are over 1.2 trillion Google searches per year. That's 40,000 people searching for answers every single second. The ability to have your ads appear in front of users that are directly searching for your products and services in real time is why our clients are seeing an ROI on their ad dollars of over 3000%. As Google Partners, our award winning team has the expertise to build a lead machine for your business that can start feeding your bottom line as early as tomorrow. In fact, with very little information about a business, we can project how profitable an adwords campaign investment will be for your company. What Is PPC (Google Adwords)? Pay Per Click is exactly what the name sounds like. You pay a certain amount of money every single time someone clicks on your ad. The best part is, it doesn't cost you a dime to just get exposure on the search engine. You only pay when someone is genuinely interested and “clicks” on the ad. There are several mediums in which your ad can appear. Paid search ads are the most popular of the pay-per-click advertising umbrella. In order to set up campaigns, you'll need to organize a campaign structure, write ad copy, bid on advantageous keywords, and point the ads to the appropriate landing page. These are banner ads with images and text that appear on other websites. The selection of which websites they appear on is part of the overall strategy and should be considered carefully. Because of their visual nature, display advertising is really powerful for building brand awareness. They typically have a lower click through rate than search ads. Shopping ads use your existing product data, rather than keywords, to decide how and where to show your ads. This product data contains details about the products you sell, which Google then uses to match search users to your ads. You can use shopping campaigns to promote your inventory, boost traffic to your website or local store, and find better qualified leads. Shopping ads are more than a text ad, they show users a photo of your product, title, price, store name, and more. These ads give users a strong sense of the product you’re selling before they click the ad, which gives you more qualified leads. Remarketing Ads, sometimes called retargeting, are one of the most profitable forms of advertising today. By installing and utilizing a specialized code, we’re able to tag your website visitors’ browsers and have you ads follow them around while they continue to search and browse the internet. Advertising on Google is unknowingly technical and if the campaign is built incorrectly it can be extremely costly. In fact, Google themselves highly recommend working with their short list of Google Partners. Luckily for you, Regex SEO is proudly at the top of the list. Why would Google recommend working with other advertising companies? Google recognizes that working with PPC professionals is more advantageous than trying to build the campaign with little or no experience. Google understands that it is much cheaper to keep existing advertisers than it is to acquire new ones. The more successful your adwords campaign is, the more likely you will continue paying for PPC advertising. That is exactly why they recommend working with Google Partners like the team of PPC experts here at Regex SEO. Is the PPC management agency a Google Partner? This is an extremely important element as you continue the search for adwords management companies in Houston. Google Partners work closely with their personal Google representatives to not only build successful campaigns, but to ensure they are abiding by best practices. Who owns the Adwords/PPC account and data? Ensure that the Houston ppc agency is abiding by Google Partners guidelines and provides you with full access to the account. Your business is investing money for that data and you should own it. Communication - Our most successful campaigns are built on the back of communication. The PPC management team at Regex SEO has regularly scheduled PPC strategy calls and adwords consulting meetings with both the clients and Google Ads representatives. There is a real opportunity to grow your revenue through an adwords campaign on Google. 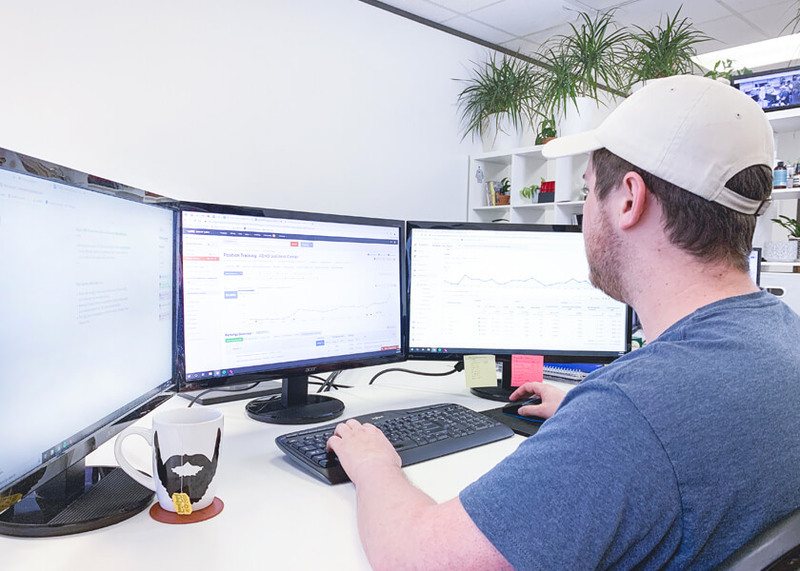 If you're not sure where to start, the first step would be to get in touch with one of our team members to lean exactly how much revenue potential there is in building an adwords campaign. What type of industry is your business in? Advertising on Google provides businesses with the ability to have immediate visibility while people are searching for them in real time. Your business takes an immediate front row seat as potential customers search the internet.